The best example of this pattern is Spring MVC DispatcherServlet is a front controller who handles all the user request and processes the request as per there mapping. Let's discuss how Front Controller Design Pattern provides a centralized request handling mechanism so that all requests will be handled by a single handler. It is hard to understand this pattern so my suggestion is to go to source code section and have a look at source code step by step gives you more clarity. You want a centralized access point for presentation-tier request handling. You want to avoid duplicate control logic. You want to apply common logic to multiple requests. You want to separate system processing logic from the view. You want to centralize controlled access points into your system. Use a Front Controller as the initial point of contact for handling all related requests. The Front Controller centralizes control logic that might otherwise be duplicated and manages the key request handling activities. The front controller software design pattern is listed in several pattern catalogs and related to the design of web applications. It is "a controller that handles all requests for a website", which is a useful structure for web application developers to achieve the flexibility and reuse without code redundancy. 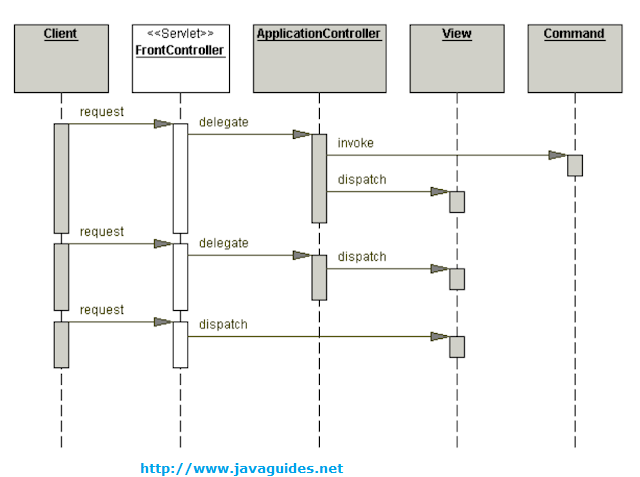 FrontController - The FrontController is the initial contact point for handling requests in the system. It delegates to an ApplicationController to perform action and view management. ApplicationController - An ApplicationController is responsible for action and view management, including locating and routing to the specific actions that will service a request, and finding and dispatching to the appropriate view. Command - A Command performs the action that handles the request. View - A View represents the display returned to the client. Step 1 : Create Views- HomeView, StudentView, ErrorView, DashboardView java classes. you want to encapsulate common request handling functionality in single place. 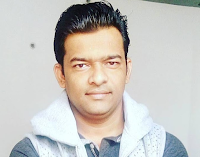 you want to implement dynamic request handling i.e. change routing without modifying the code. make web server configuration portable, you only need to register the handler web server specific way. I feel this is good. I wish to read this. I need more good article like this.